You're already singing it, aren't you? 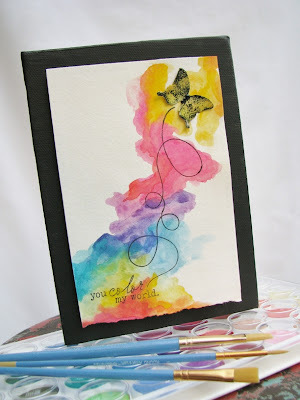 Speaking of... today's Papertrey Ink design team post brings you a new set from Nichole... enter Happy Trails. 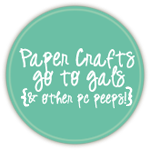 I'm realizing over the course of crafting for so long that sometimes I need a change. Which is funny because in real life... I am so not a huge fan of it. But somehow, when I'm crafting... it can be easier to tackle change. Because it really just comes in the form of doing something I've never done before. I used to think that I wasn't artistic because I couldn't draw. But then a friend of mine showed me that what I could do was stamp. And sometimes I wonder what else I could do but that I have no idea I can because I've never tried it. I have that running list in my head of "man... I'd really love to try that." The "you color my world" sentiment in Happy Trails challenged me to try one of those things on my list... watercoloring. So, no to that one. I'm starting to hone in on a layout idea here. Take away on this one - too much water = bad. I'm ok with my attempts, though. I basically have zero idea what I'm doing with watercolors and you know what? I just walked into Michael's, purchased myself a fancy $4.99 set of watercolors, a fancy $4.99 set of brushes, and a pad of watercolor paper and went to experimenting at my work table. No rhyme... no reason. Just me trying to let myself attempt something outside of my comfort zone, to relieve myself of the pressure of perfection... to just do. 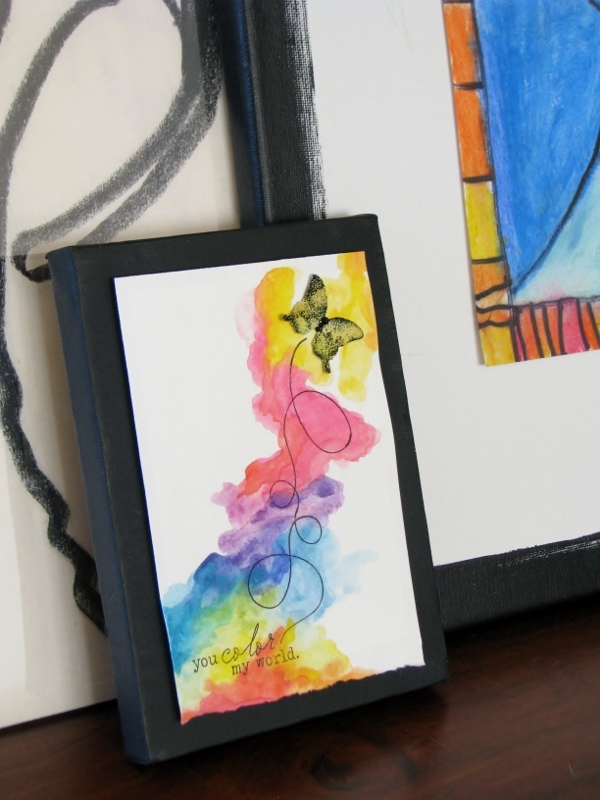 It's a whimsical little watercolor finished off with one of my all-time favorite sentiments, a funky butterfly, and a winding little tail behind him. To make the tail fit my layout a little better, I added the two longer tails in the set together. I just positioned the stamps so that they overlapped a bit (right between the two small loops) then masked both trails near the overlapping point. I also made small pencil pencil marks at the end points of each trail to make it easy to position the inked stamp. 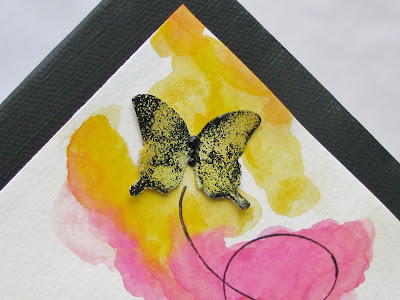 I wanted the butterfly to be extra special so I started by embossing it with black powder on a piece of vellum. As the black powder heated and melted, I sprinkled some yellow embossing powder over it. I repeated that until I got to the point above. Although there is a set of matching Happy Trails dies for the images in this set, I went ahead and emossed it on a small panel of vellum and then hand cut it out after embossing. With this embossing technique, I just find it easier to do it on a panel that can be easily held on to. To give this project some presence and depth, I adhered it with foam tape to a simple artist's canvas base. To draw the eye straight to the colors I painted the canvas black. Putting it on a canvas means that I can move it around the house and mix things up from time to time as I like to do. For now, it's made a home on the entry way table where Eli's study of Picasso is on the right and a single line drawing of mine from a college art class is on the left. I really have to say... I totally recommend giving the good ol' watercolors of your youth a try. I found it really freeing and fun. Honestly, it felt like free art play from grade school. 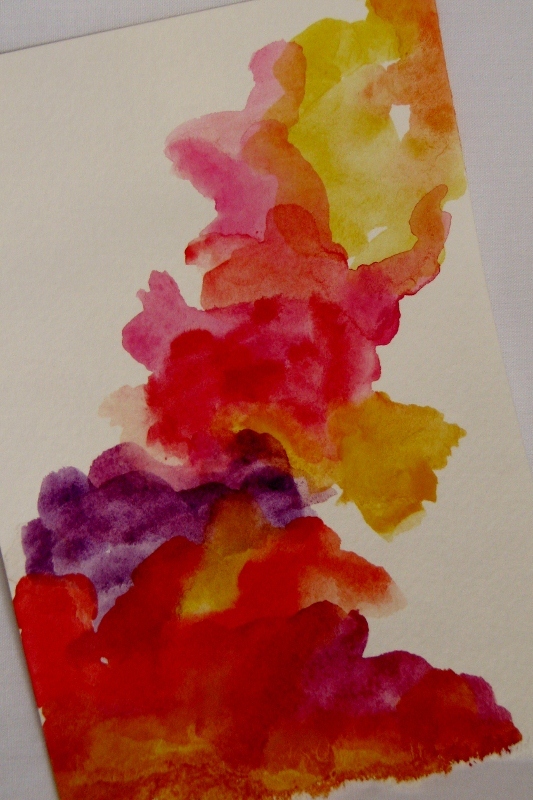 There is zero perfectionism in watercolors. You have to release that expectation right from the start, friends. 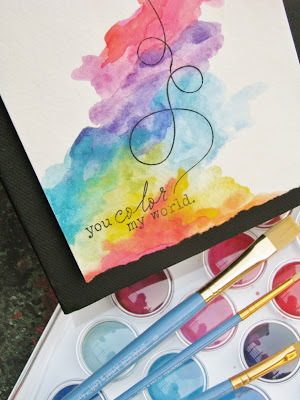 One thought... if you love the color Copics can give but find them a little daunting... this would be a great way to experiment with fun color with only a few dollars. I was totally taken with them so there are more watercolor techniques to come with the rest of my release projects from this month. But in the meantime, be sure to check out all the other Happy Trails projects from Papertrey Ink's design team! I had a tough time trying to decide what image to work with... I cannot wait to see what the rest of the team worked up with the little paper airplane, the ink pen, the quill pen, and on and on and on! As always, I hope you enjoyed it! Thanks for showing us your process to a fantastic card! Lovely! I also really like the card you describe as 'too linear', not for me it isn't!! LOL! Yes, there is a world of things to try, if we let ourselves. Excellent card. It really fits in well with your other art works. Stunning and fresh - LOVE it! In fact it's my favourite card from all of today's cards from the Happy trails set. This is stunning!!! Good thing you kept on trying, because your final result is one of the most beautiful cards I have ever seen!!!! I love, love, love it!!!! 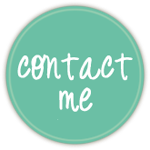 You forgot to mention that you are an author, too...you should definitely dabble in that realm! Your posts are always so fun to read, Jess! It's like reading a humor column or mini editorial in the newspaper whenever I visit! Your card turned out great! Wowzers! I love all your attempts and maybe we'll see them on cards eventually. I do love the watercolor you used for your card - rainbows in watercolor, what a perfect combination! Thanks for sharing some of your other attempts too - I need to remember that it doesn't need to be perfect the first time out and that it is ok to start again. Beautiful card. The colors seem to be floating on this with the butterfly enjoying the ride. Love it! Glass blowing is HARD. amd hot. very hot. Your true creative spirit is on fire with this piece. LOVE. Beautiful card... just love the colors. I have a watercolor set and some paper... guess what I'm going to 'try' to duplicate. Tks for the inspiration. Aah...wonderful zinging colour - I feel the freedom it gave you doing it from over the pond! Great result...there'll be no stopping you now! This post makes me so happy. 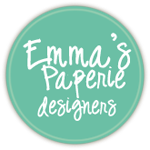 I've read so many blog posts and message board topics from depressed crafters who are dissappointed because they feel their work doesn't live up to that of published designers. There's this myth that it's some sort of artistic magic, when really it's a little bit natural talent and an awful lot of hard work and practice. Seeing the long process behind such a stunning piece is refreshing. The story of your process is as inspiring as the finished work. Thank you so much for sharing it with us! 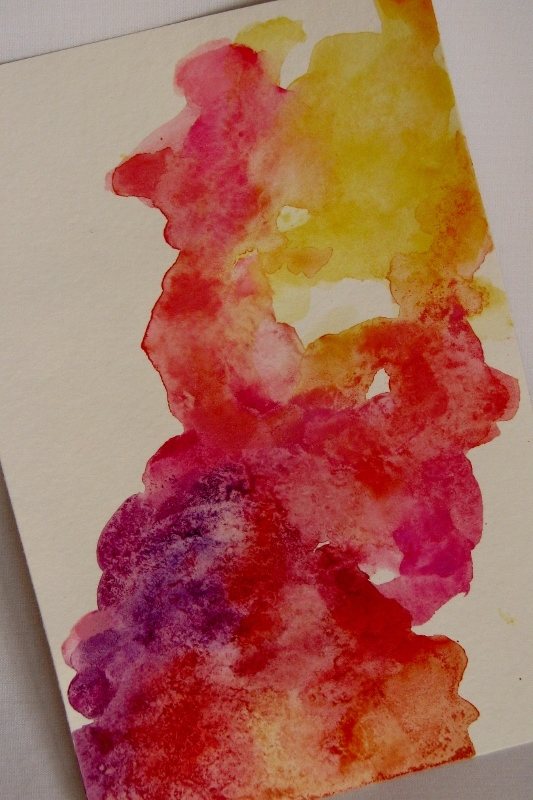 The attempts to a perfect watercolor card are amazing. Can't believe you have never done that before. I Utterly adore your finished product! 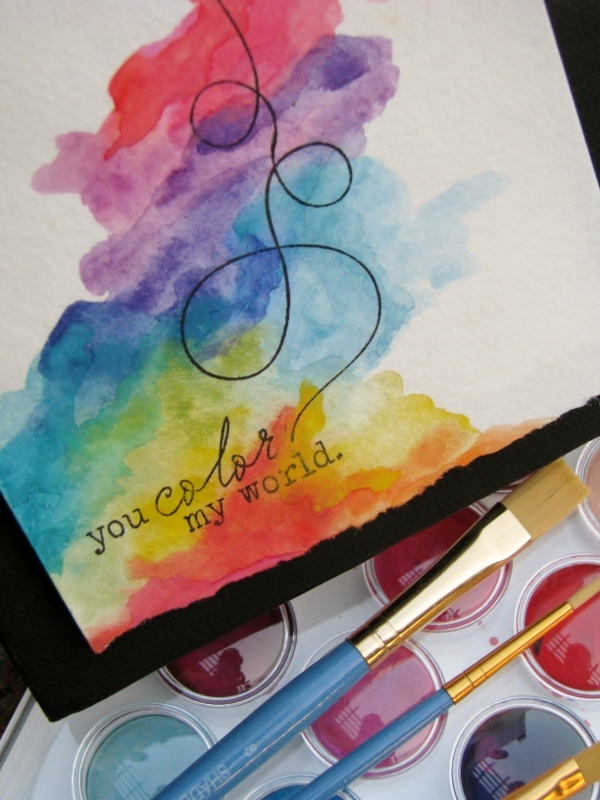 Beautiful colors, flowing design, love at first sight! Please do more.... you are my heroine for doing this. I have watercolor paper.... and just came across a $1.29 set of paints in one of my stamp drawers.......... Hmmmm. possessing wit in speech or writing; amusingly clever in perception and expression: a witty writer. You are such an inspirational writer and designer. I love that you share your blunders as well as stunning successes. You showed us that you don't have to spend a small fortune on watercolors to create a stunning piece of art. Stunning! Love seeing the process of this super clever idea. I have one word for you, girl: awesome. Oh, can I add one more: honest. Love your awesome honestly, and you're pretty darn artsy, too! 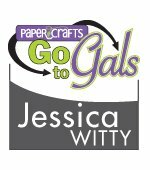 So non-Jessica ... but in another way, it's totally you >>> diving into more creativity! 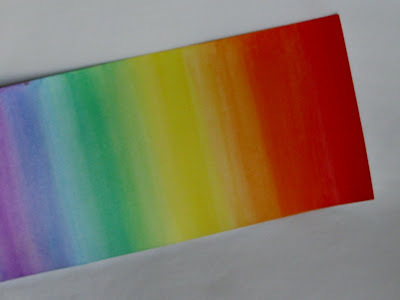 Rainbows have always been a fave of mine. They catch your attention because of how pretty all the fun colors are. Thank you for thinking a little outside the box and filling my rainy, dreary day with rainbows! You are much braver than I am! I shudder to think what would happen if I tried this. Absolutely love this - stunning! Great work. I love this! I tried something like it and hated my first and second attempts so I gave up. You've inspired me to try again! So gorgeous and fun! Loved reading this post and seeing how you got to where you are. You are right - why not play and try something new - you never know where it could lead you and what beautiful work you can create! You did good!!!! Love your experiment postings...I do love to try things every once in a while to get me out of my rut. Love your creation:)and your musings! Absolutely beautiful - I love it! Thank you so very much for sharing some of your watercolor attempts. It was interesting seeing your final design take shape. What was my favorite part of your post, though, was seeing how you displayed your project. Your line drawing is intriguing and impressive. I don't think you should say that you cannot draw! 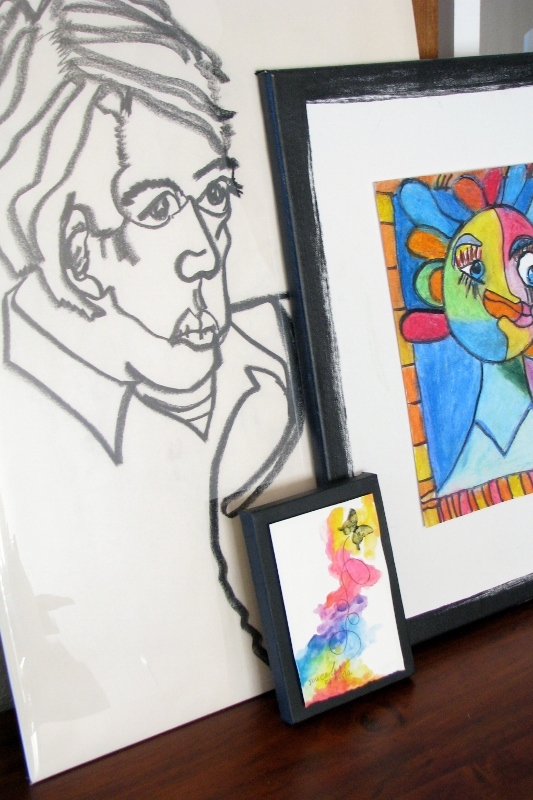 And Eli definitely has inherited some major art skills. His study of Picasso is remarkable. Your house must be a true home, a place filled with love where you can experiment without judgment. PS - You really should get out the charcoal (pencil?) and create some more line drawings. absolutely beautiful card!!! Thanks for showing us that we don't have to spend a fortune on expensive products to create beautiful works of art. 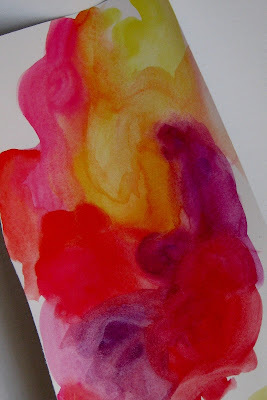 I love playing with watercolor--have you ever experimented with salt and alcohol on watercolor? With alcohol, you just sprinkle (or drop or flick) some rubbing alcohol onto the wet paint and let it dry--you'll see the effect immediately, but it will be more dramatic if you've used more paint than water. I like using a little spray bottle or just drip it off the end of my paint brush. With salt, you sprinkle it on and then rub off the chunks of salt once the paint dries, but you won't really see the total effect until the end. Using a variety of sizes of salt (small granules vs flakes vs rocks) adds to the drama. Suuuuper cool effects--the trick is to use more paint than water--makes it more dramatic. BRAVO!!!!! I think you did a great job. It turned out lovely. Also, you found out something new that you can do; it's like opening a new door in your creative studio. Awesome! I love your project and your progression. My watercolor teacher always says "let the paint do the work" meaning don't overlap your colors (you may get a muddy color) but roll the paper around at different angles and let the colors blend themselves. I also like the salt method mentioned - paint shouldn't be too wet or too dry for best effect. Jess as usual your work is stunning - and as usual I've been a bad blogger and not commented!! I just wanted to thank you so much for the sweet words you left on my log - I am so honoured and it totally made my day!! 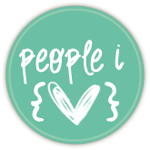 Unfortunately, i've never had the privledge of visting your blog before, but i'm glad Craft Gossip featured this article on their page. :) It's brilliant, and beautiful. Thanks for Sharing, I can't wait to try one of my own. I just saw this on Pintrest. WOW. Gorgeous!